Saadabad Palace in Tehran, Iran, October 4, 2017. ISTANBUL - Turkish President Recep Tayyip Erdogan is due to attend a summit with Iranian and Russian leaders to discuss Syria. It will be Erdogan's second meeting with Iranian President Hassan Rouhani in a month. 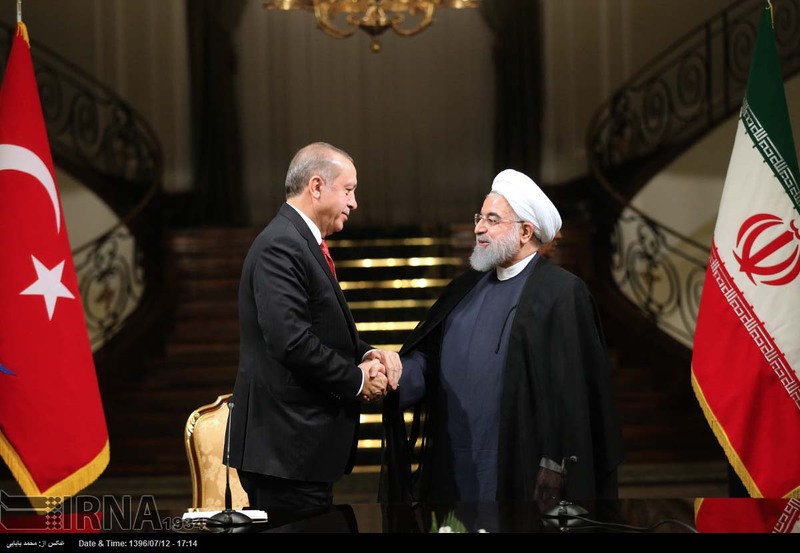 Bilateral relations have warmed significantly in recent months between the regional rivals, since the Turkish president criticized Tehran in June, accusing it of Persian expansion in the region, a threat he said needed to be challenged. "This is part of Ankara's vacillations; it seems to be moving to the requirements of the day," said political columnist Semih Idiz of Al Monitor website. 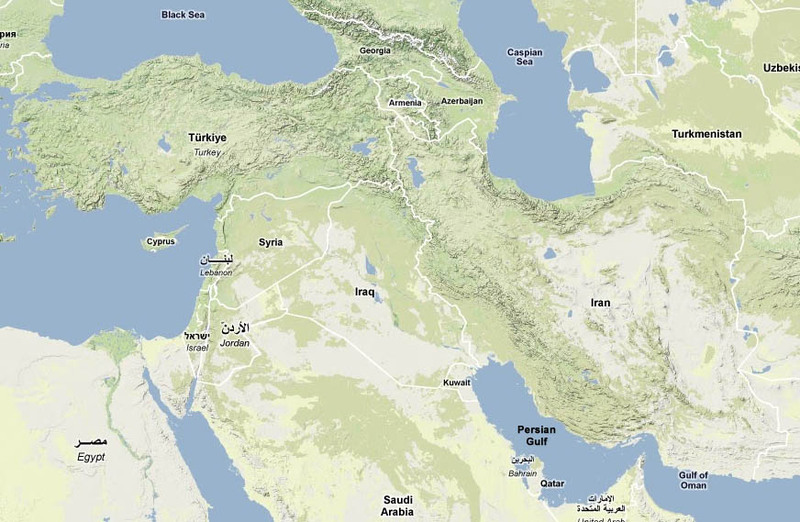 "Of course Ankara appears that it's moving closer to Tehran, especially after the Iraqi Kurds held their independence referendum - which both Turkey and Iran are very forcefully against - and it united the two." Iran and Turkey have large restive Kurdish minorities and share fears that any independence bid by neighboring Iraqi Kurds could provoke similar secessionist demands. In the run-up to the referendum vote, the Iranian and Turkish armed forces chiefs made rare visits to one another's countries in another sign of deepening relations. At a summit next week in Sochi, Erdogan is expected to try to persuade Rouhani to support his calls to carry out a military operation against Syrian Kurds of the PYD. Ankara accuses the PYD of having secessionist aspirations and being linked to the PKK, which is waging an insurgency in Turkey. Erdogan is also pressing Tehran to carry out a joint military operation against the PKK headquarters in northern Iraq, close to the Iranian border. Traditionally, Iranian and Turkish relations have been characterized by cooperation and rivalry. In the late 2000s, seeking greater influence in Iraq and Syria as part of then-Turkish Prime Minister Ahmet Davutoglu's policy of "strategic depth," relations between the two countries soured as they competed for influence; however, Ankara's abandoning of its "strategic depth" policy has facilitated bilateral cooperation. "My view is that Turkey has narrowed its focus on Syria; it's no longer regional hegemony," said international relations expert Soli Ozel of Istanbul's Kadir Has University. "It's basically the PKK in Iraq and the PYD in Syria; Turkey does not want to be encircled by the PKK on its southern border; because Russia and Iran have the upper hand, it goes along with them." Ankara's gravitating toward Tehran has been expedited by growing alienation with the United States, its NATO ally, over Washington's support of Syrian Kurdish fighters in their war against Islamic State. Analysts warn Ankara's deepening cooperation with Tehran threatens to plunge Turkish-U.S. relations into a vicious circle with Tehran as the beneficiary. "The more Turkey is getting closer to Russia and Iran, the more the Americans will distance themselves from Turkey," said international relations Professor Huseyin Bagci of Ankara's Middle East Technical University and unofficial adviser to the Turkish presidency. "Turkish-American relations will continue with this turbulence and the Americans will continue increasing its pressure [on Turkey]." U.S.-Turkish relations are likely to be strained further if Washington steps up its challenge of Iranian influence in the region and looks for Turkish support, especially in enforcing new trade sanctions against Tehran. Ankara has already confronted another former ally, Saudi Arabia, in its embargo against Qatar for its cooperation with Iran. Turkey cooperated with Iran in airlifting and shipping supplies to the Gulf nation and even sent a symbolic military force to Qatar. Analyst Bagci said there are limits to Turkish-Iranian cooperation. "A new structure is emerging in the region, Saudi Arabia, Egypt and Israel as one bloc, Iran, Iraq and Syria the other bloc," he said. "There is this battle for regional hegemony and Turkey is in the middle. So there is a natural balance of power and Turkey will not take a side in this conflict, neither on the side of Iran or Saudi Arabia." Analysts point out that siding with Iran in any confrontation with Sunni Arab countries could have repercussions. "It would have a domestic cost because of the Sunni Islamist support base of this government and President Erdogan," noted columnist Idiz. Erdogan is set to face re-election by 2019 in an expected close vote. Increasingly, Turkish foreign policy is being seen as dictated by election considerations. Analysts suggest Erdogan will have to carefully balance courting Tehran in his bid to confront Kurdish separatist groups, a vote winner for the president, but at the same time not allow Turkey to get sucked into the looming regional conflict between Iran and Saudi Arabia.